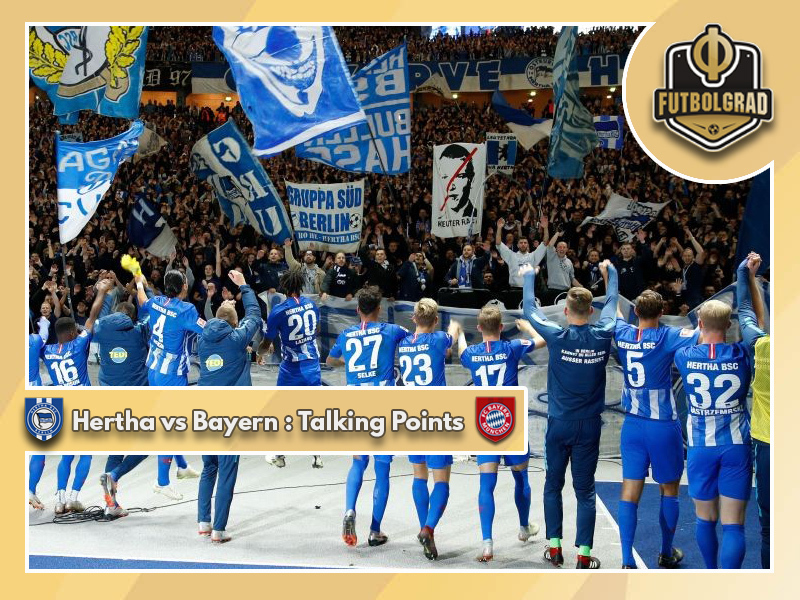 Hertha Berlin vs Bayern München was an almost perfect game for the hosts in the Olympiastadion on Friday night. Two first half goals were enough to give Pál Dárdai’s side their first victory against Der Rekordmeister in nine years. For Bayern, defeat brought Englische Woche to a disappointing end following a draw in the Oktoberfest derby against Augsburg. With only seconds of the first half remaining Ondrej Duda fired Hertha into, what was to be, an unassailable lead. Having only a third of the game’s possession, Berlin’s Old Lady had managed to muster four shots at goal – three of which were on target – and as the teams left the pitch at half time it was the home side who led two-nil. Counter that with Bayern – who by the time the final whistle went – had registered 70% possession, won a staggering 14 corners and recorded 25 shots at goal. Crucially though, the Bavarians could only manage five of those on target. As the fixture wore on, the Bayern players cut frustrated figures. Thomas Kraft in the Hertha goal wasn’t fully tested all night. Arjen Robben, James Rodríguez and Renarto Sanchez all left the field as Niko Kovač searched for a response – those who replaced them had just as much frustration etched all over their faces as the full time whistle sounded. It has been coming, and it finally came this evening. All it took was a side prepared to work hard, and together as one. Bayern were exceptionally slow in their build up play – players guilty of taking an extra touch when the option to move the ball was most definitely on. This wasn’t limited to one or two players and seemed to typify their entire evening – across the board. Sluggish in midfield – especially during the first half – Bayern’s inability to cut through Hertha and create any sort of golden opportunity played into the host’s hands. 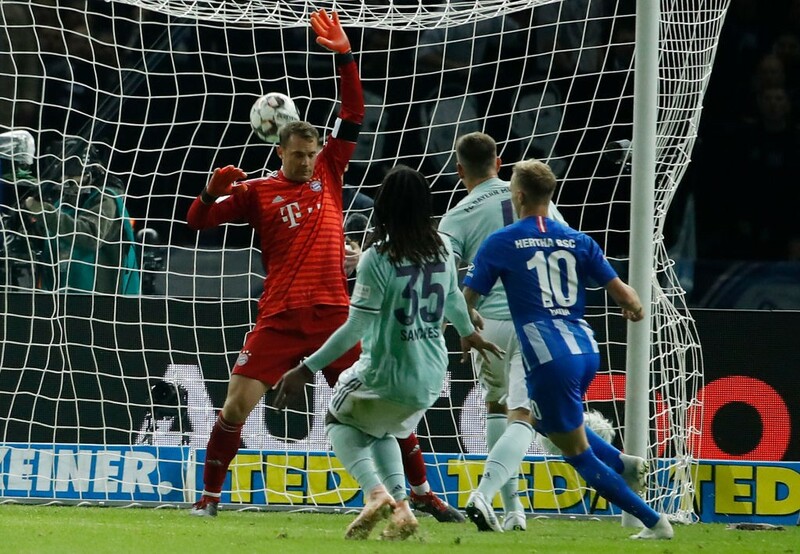 Even a second half renaissance was short lived, uncharacteristically Bayern were unable to find any real quality that would have tested Hertha. 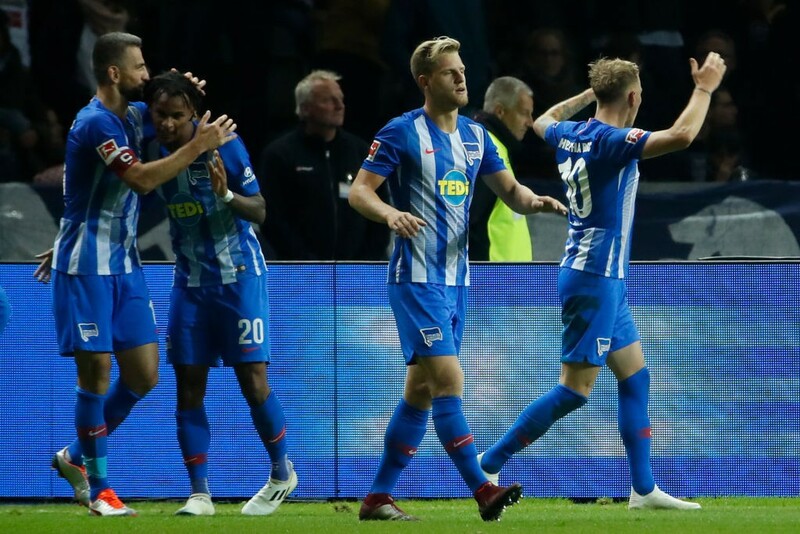 It was a continuation of the performance witnessed midweek against Augsburg and – to some extent, similar to the display against Bayer Leverkusen once they took the lead. Let off by Leverkusen, they were partially undone by fellow Bavarians Augsburg, and fundamentally out performed in the capital. There is an old saying in sport that ‘hard work beats talent when talent doesn’t work hard’- and while this may be true to some extent it would be wrong to suggest there was no quality on show from the hosts this evening. As a unit they played exceptionally well, especially without the ball – quick into the press and fast to close down all Bayern players, it was a team performance that ensured a famous victory. There were however, a few standout individual performances from the side in blue. Valentino Lazaro was a rock at the back and worked well with Salomon Kalou in attack to give the Bayern left all sorts of problems. While on the Hertha left, Javairô Dilrosun impressed once again. In attack Duda showed why he is the early front runner for the Torjägerkanone with another well taken goal – his fifth of the season.